Prepare yourself… Cute AND design inspired puppy pictures ahead! 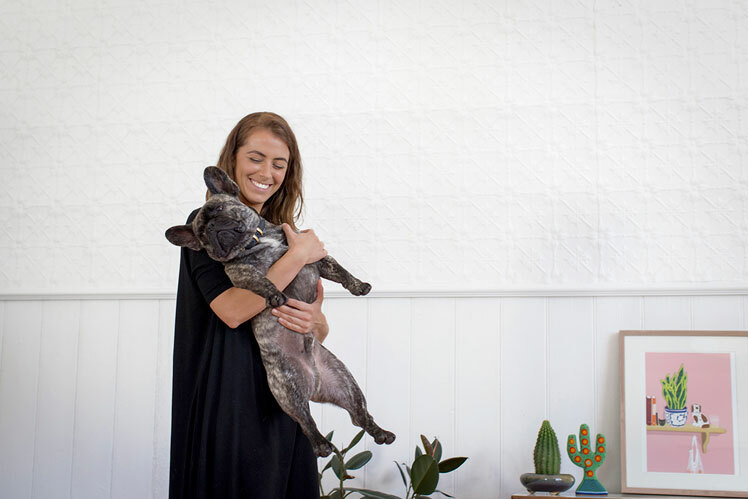 We chat with Georgia, the founder and director of Nice Digs, a dog obsessed fashion and textile designer from Melbourne, Australia. 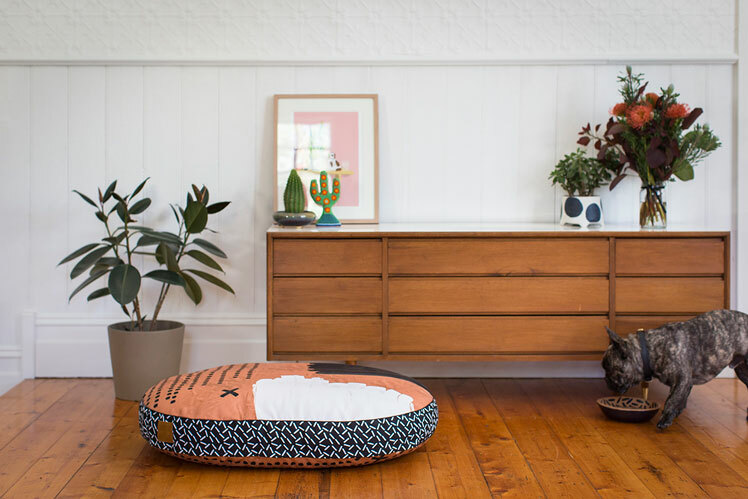 Find Nice Digs dog beds at our Melbourne SS15 Market, taking place in October! Tell us a bit about Nice Digs and what we can expect to discover? 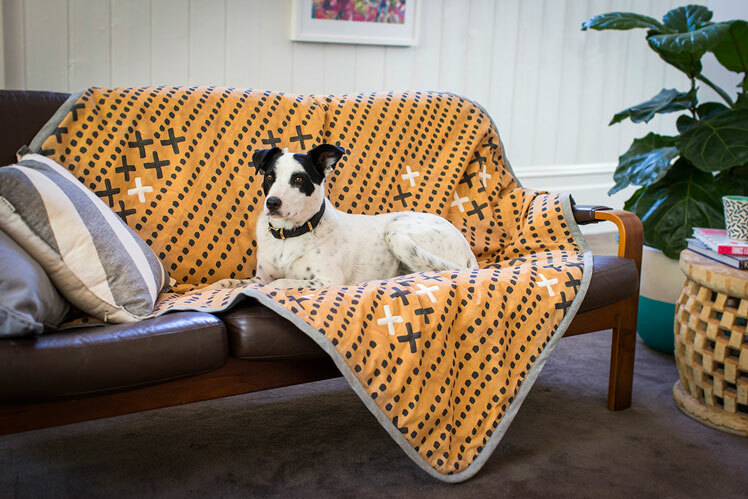 Nice Digs offer high quality lifestyle goods for the discerning modern dog owner. 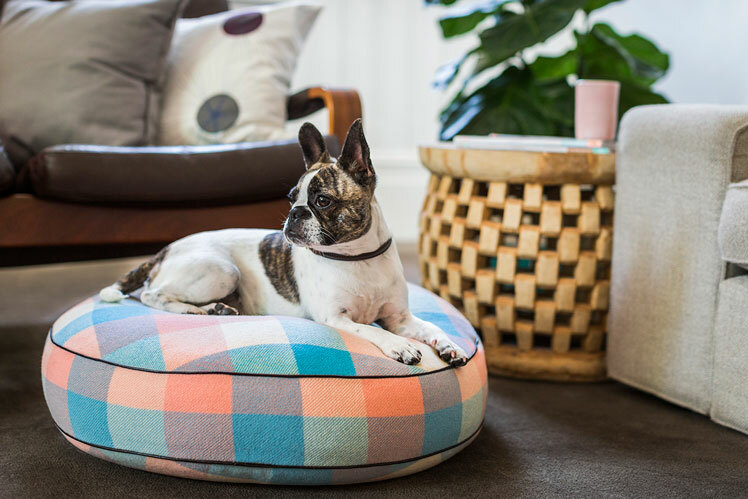 Our philosophy is to combine durability and contemporary design that compliment the home, offering unique dog products with a strong commitment to hand crafted goods. Nice Digs beds are proudly designed, printed and made in Melbourne. 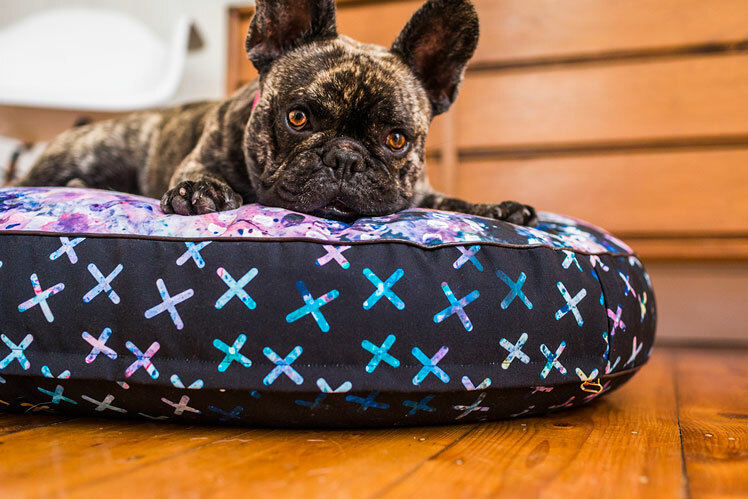 Our beds are made of easy-care, dog friendly fabric that has a soft, cozy touch yet is hard wearing and durable. Evolving with the seasons, we offer unique products that are inspired by current trends. Every print is a Nice Digs exclusive. We also offer a range of luxury dog collars and leashes that are made from the highest quality leather so your pooch will look great while being super comfortable. I’m a fashion and textile designer by trade, but I’ve always wanted to build something for myself. After graduating with a bachelor in Fashion Design at RMIT, I did a few stints over in Europe, interning and training further before returning to Melbourne. Over the past few years I’ve worked for numerous Australian fashion brands focusing on print and textile design. After meeting a rescue dog called Checkers through an online shelter and rescue pet directory, it was love at first sight. 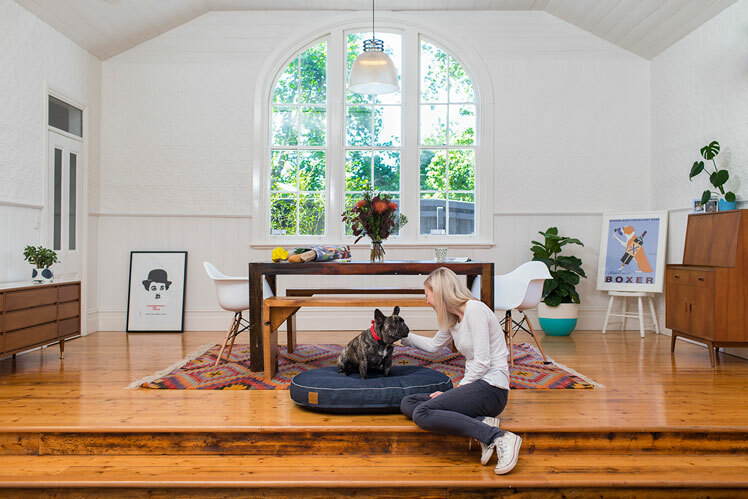 I struggled to find dog products that fit with my personal aesthetic and suited our home hence the birth of Nice Digs. Checkers now sits proudly beside me as the Assistant Creative Director and an obvious muse to the brand. 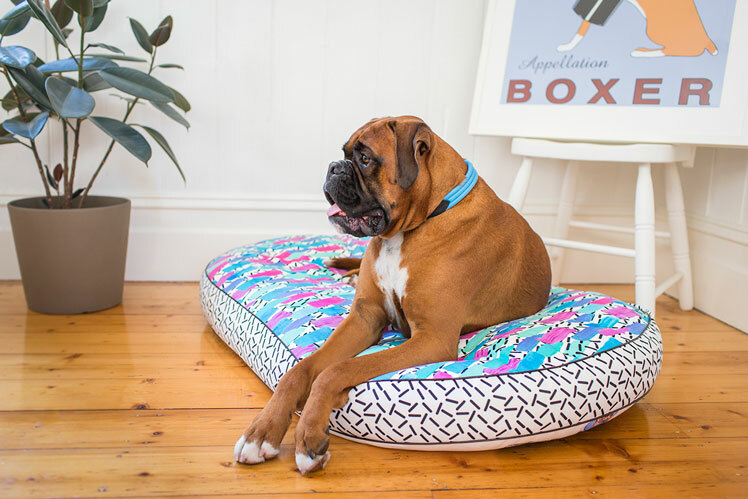 What do you love about working with lifestyle goods for dogs? What keeps you creatively motivated? 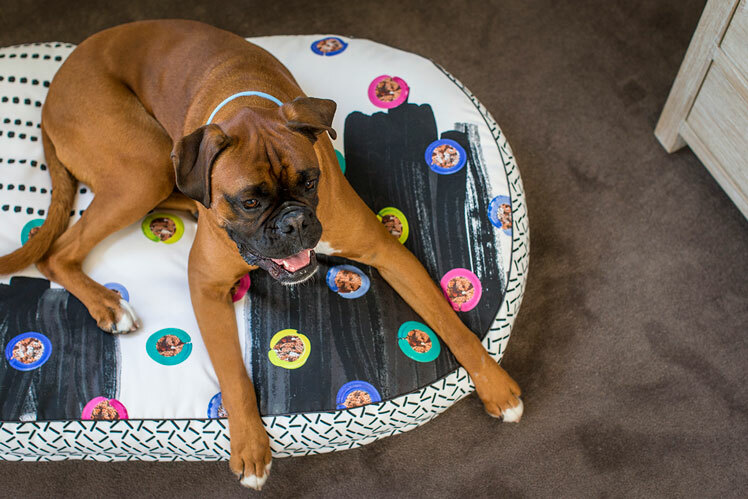 Creating products that make living with pets easier and more attractive is my mission. I love how creative I can be within the field and there are some many fun and inspiring dog lovers out there to share it with. Also seeing our products with our furry customers is always a thrill! I’ll never get bored of receiving our customers submissions, they’re just so bloody cute! I have a light filled studio within my home where all the magic / madness happens. Plants, paintings and special objects surround my large (but never large enough) pattern-makers table and trusty Mac and I always have Checkers at my feet. Usually I have most of my ideas at night, as I’m getting ready to fall asleep. I’ll marinate on them for a while and start playing with designs and patterns and just see what sticks. I strive for simple, contemporary design but above all else, it must be practical. I had worked on Nice Digs for such a long time before I had even released anything, trying to prepare for all aspects of the business. But there are some things you just can’t prepare for until you’re in the moment. I’ve learnt a great deal from making mistakes and problem solving my way through obstacles. But overall it has been such a rewarding experience to build Nice Digs from the ground up and it’s exciting to watch it grow. What can we expect to see from Nice Digs at the upcoming Melbourne Markets? We’ll have our entire debut range on offer plus a few new goodies to share. Pop down and try the beds out for yourself. My fiancé’s been known to fall asleep on one from time to time… they’re just so comfy. We’re super excited as this will be our first ever Finders Keepers! We can’t wait to meet some new friends and we’ll be sure to find the perfect set up for your furry little dude. I personally endorse all the Nice Digs products, knowing how much effort went into the product design and business planning. Congratulations on a great local product.